Will I Be Selling Properties Soon for Bitcoin?? At my sales meeting this week, the topic of bitcoin currency came up. 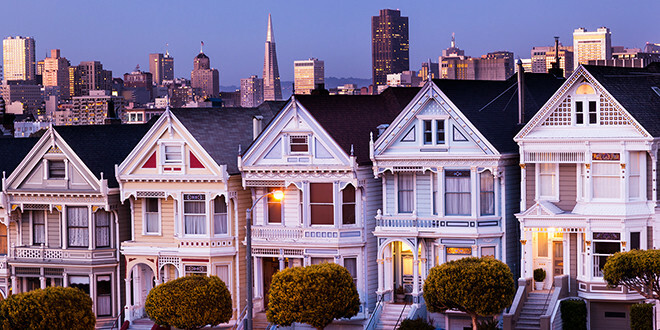 This has become a hot topic, so much so that the San Francisco Association of Realtors just held a seminar entitled “Bitcoin, Cryptocurrency and Blockchain” to better inform real estate agents and investors about this phenomena. One agent at my meeting said she had recently received a pre-emptive offer in bitcoin. Since her client had instructed her not to review any pre-emptive offers, the agent followed her instructions and did not deliver the bitcoin pre-emptive to her client. On the offer date, the bitcoin offer was not put forward again but a number of others were and this property is now in contract. The agent sounded relieved that she did not have to consider the bitcoin offer, understandably so as this is still a very new concept and the market for bitcoin is very volatile. It was stated at our meeting that an SF agent is going to be listing a property soon with a price in dollars and bitcoin. I look forward to seeing what happens with that. We were also informed at our meeting that so far title companies will not do business in this new cryptocurrency. How does this impact property sales? A buyer will not be able to insure the title of the property, which is significant. This discussion continued at a business lunch I had with members from various industries. The gentleman sitting on my right was with a large national bank and he said his bank is not trading in bitcoin. He has had people come to him asking if the bank would accept it and he has had to turn them away. The younger gentleman sitting to my left was with a global wealth management firm. He said he is waiting for it to crash. He thinks it is too volatile of a currency. “Bitcoin is a cryptocurrency and worldwide payment system. It is the first decentralized digital currency – the system works without a central repository or single administrator. The network is peer to peer and transactions take place between users directly through the use of cryptography, without an intermediary. These transactions are verified by network nodes and recorded in a public distributed ledger called a blockchain. Bitcoin was invented by an unknown person or group of people under the name Satoshi Nakamoto and released as open-source software in 2009.…[Bitcoins] can be exchanged for other currencies, products, and services. As of February 2015, over 100,000 merchants and vendors accepted bitcoin as payment. Research produced by Cambridge University estimates that in 2017, there are 2.9 to 5.8 million unique users using a cryptocurrency wallet, most of them using bitcoin.” Wikipedia For someone who wants to learn more, Wikipedia cites many original sources of information for the various topics related to this new currency. The employee of the global wealth management firm opined that listing a property for bitcoin might attract a lot of tech people who have bought some and want to get rid of it, finding real estate a good place to invest it. Previous: Great Value in a Less Known Gem of an SF Neighborhood! Next: Holiday Tea for Two or More!